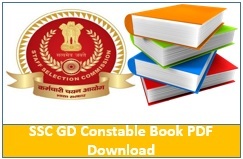 Staff Selection Commission(SSC) conducts a General Duty (GD)exam. It is taken on behalf of Indian army for constable. You can get into CISF, CRPF, BSF, NIA, ITBPS etc. You should have to complete 10th standard for this. Actually 4 sections come into the exams which are given below. 25 question from each sections. 25 marks for each section.